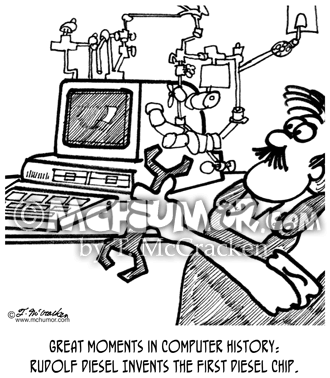 History Cartoon 2624: Great Moments in Computer History: Rudolf Diesel Invents the first diesel chip. 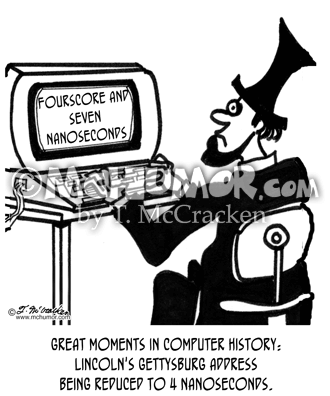 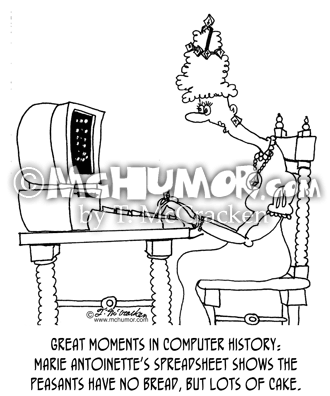 History Cartoon 2622: Great Moments in Computer History: Lincoln's Gettysburg Address being reduced to 4 nanoseconds. 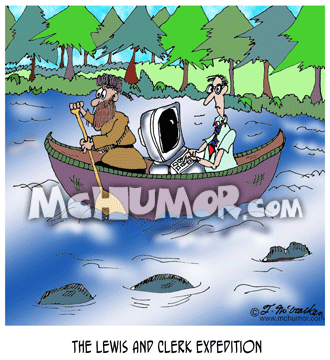 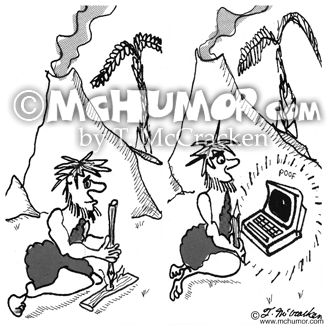 Fire Cartoon 1820: A caveman rubs two sticks together and gets a computer. 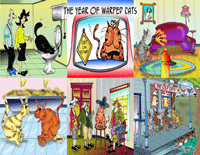 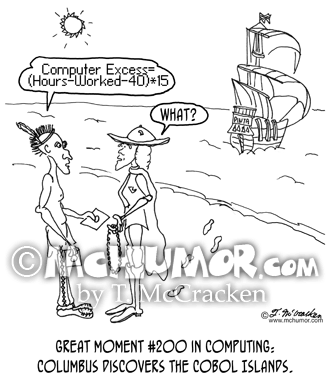 Computer Cartoon 3609: A cartoon drawn on a 1986 MacPlus using the program, MacDraw. 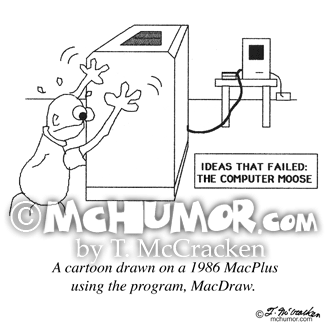 “Ideas that failed: The computer moose.” A man pushes a huge computer. 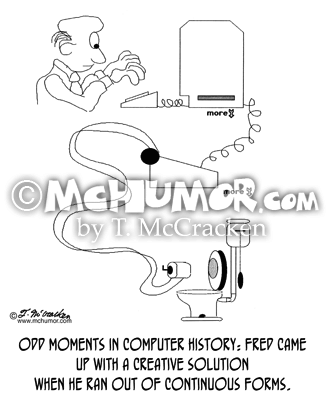 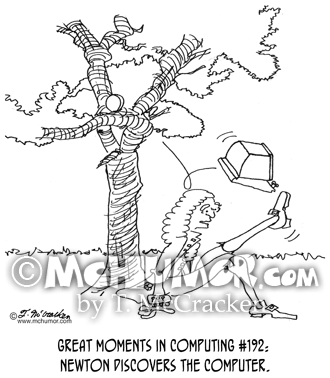 Toilet Paper Cartoon 3608: "Odd Moments in Computer History: Fred came up with a creative solution when he ran out of continuous forms." 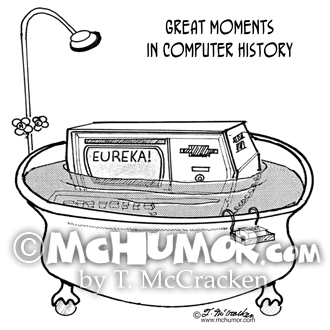 A man uses toilet paper in a printer.